MET MANN, has supplied 37 hot air curtains with water in the new Correos warehouse in Madrid. The function of the air curtains is to prevent the entry of cold air in the winter season and the entry of hot air in summer. In this case, the curtains have been supplied with a water battery because the source of heat energy comes from some boilers. 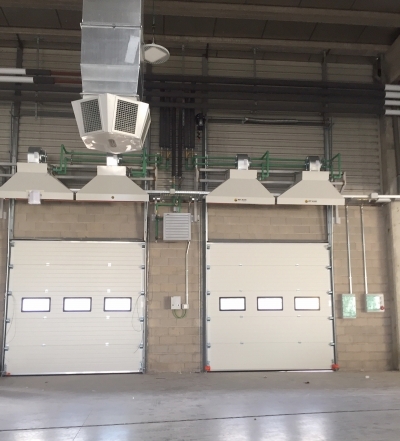 The warehouse has several loading doors and in each one two units have been installed to create an air barrier and thus prevent the entry of cold air inside the air-conditioned room.